“Let no one deceive you with empty words.” Ephesians 5:6 NKJV. Words devoid of substance are unworthy of those who love truth. Words have awesome potential. They can unite or divide people; they can edify people or destroy reputations. Words can convey truth or clever deception. The Bible has much to say about your words. Solomon observed, “In the multitude of words sin is not lacking, but he who restrains his lips is wise.” Proverbs 10:19 NKJV. Be wary of those who are always first to speak on any and every subject but have the least to say. They discount the value of their words. The Bible cautions, “Let no one deceive you with empty words.” Ephesians 5:6 NKJV. Words devoid of substance are unworthy of those who love truth. One form of words devoid of substance is flattery. The Bible describes a flatterer this way, “When they speak great swelling words of emptiness, they allure through the lusts of the flesh.” 2 Peter 2:18 NKJV. Flattery is defined as: “to praise or compliment insincerely, effusively, or excessively.” At its core, flattery is self-centered, possessing the hidden intent of ingratiating the speaker more than elevating the recipient. With sadness, Paul described those whose selfish agenda was, “By smooth talk and flattery they deceive the minds of naïve people.” Romans 16:18 NIV. Don’t be naïve; flattery feels good, sometimes too good, and can become addictive. “They mouth great swelling words, flattering people to gain advantage.” Jude 16. Jude exposes the selfish motive for flattery. Flattery can be disguised to gain favor by falsely assigning or exaggerating virtues to someone. I love Jude’s description of flattery as, “great swelling words.” In past years, such people were described as being, “full of hot air.” Beware of flattery; it is usually unhealthy, sometimes even unholy. “A flattering mouth works ruin.” Proverbs 26:28 NKJV. “Let no one deceive you with empty words.” Ephesians 5:6 NKJV. Flattery can be mistaken for affirmation. Don’t be confused. Unlike flattery, affirmation is selfless and sincere edification of another person through gracious words that encourage and strengthen another’s soul with truth. 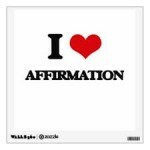 Everyone needs affirmation. When our children were young, my wise and Godly stepfather, Warren, frequently reminded me that, “children need a good number of ‘atta boys’ every day.” Every person, young or old, needs a healthy amount of honest, Godly affirmation. Sincere affirmation is a powerful source of confidence and assurance. Paul’s New Testament letters are rife with sincere affirmation. Affirm lavishly; avoid flattery. David’s prayer should be yours and mine as well, “May the words of my mouth and the meditation of my heart be pleasing in your sight, O Lord.” Psalm 19:14 NIV. Amen. Today, I pray that you are sufficiently affirmed and sincere when affirming others. A life void of internal strength succumbs to surrounding pressures. In High School, I learned a simple principle of physics; “Nature abhors a vacuum.” To demonstrate, our science teacher presented a metal can, proceeding to extract air out of it until we watched the sturdy can gradually collapse. As resistant, internal pressure is reduced, nature pushes into any void to fill the emptiness. The external pressure was stronger than the strength of the can to resist. A person’s life can be like that. If your life is void of internal strength you lose the power to resist and withstand, gradually succumbing to the pressures of the world and culture around you. Life is not easy; temptations are many. The pressures to compromise – to give in, to go along to get along – will seem irresistible. The Bible recognizes such spiritual realities and gives the strength to resist such situations successfully. “Therefore take up the whole armor of God, that you may be able to withstand in the evil day, and having done all, to stand. Stand therefore . .“ Ephesians 6:13-14 NKJV. You can successfully stand firm, strong, and righteously if you have a greater power within you than the one oppressing you; “Because the One who is in you is greater than the one who is in the world” 1 John 4:4 NIV – a greater power with you than opposing you, “Don’t be afraid for those who are with us are more than those who are with them.” 2 Kings 6:16 NIV. Jesus sat purposefully beside Jacob’s well at noonday when a woman from the city came to draw water. Read John 4:3-30 NKJV. Her supply was gone; her life was empty. In vain, she tried to fill her emptiness with relationships that did not work and pleasures that could not satisfy, never finding a sense of fullness until she met a Man unlike any other she had known. Her emptiness met Jesus’ fullness. Other men only took precious things from her – sanctity, dignity, integrity; Jesus gave the most precious of things to her – forgiveness, freedom, and fullness. Jesus saw the emptiness of her heart, and invited her to a fullness of life she had never known. “If you knew the gift God has for you, and Who I am, you would ask Me and I would give you Living Water . . people soon become thirsty again after drinking this water, but the water that I give takes away thirst altogether. It becomes a perpetual spring within them, giving them eternal life.” John 4:10-13 NLT. In a moment, her life went from empty to full, from life always failing to life ever flowing. See Colossians 1:27 NIV. Your response can be as hers, “Please sir, give me this Living Water that I may never thirst again.” John 4:15 NKJV. Recognition is the first step to release. Read John 7:37-39/2 Corinthians 9:8. What did she do? She drank deeply of the Living Water offered her, and then straightway ran to her village and told everyone she knew, “Come; see a Man who told me everything I ever did!” John 4:28-30/39-42 NKJV. You don’t change by denying your past; you change by releasing it to Jesus. You can know the Savior, yet still struggle with spiritual emptiness, lacking His sufficiency of grace, love, joy, peace, patience, trust, rest, or provision. See Galatians 5:22-25 NLT. God invites you to overflowing, abiding fullness, “That you may be filled with all of the fullness of God.” Ephesians 3:16-21 NKJV. Everything you will ever need or look for, its fullness is found in Jesus. My prayer for you this day is: understand that empty lives find fullness only in Jesus. Wherever God and good do not fill, lesser things will. I learned from my high school physics teacher the principle that “nature abhors a vacuum.” When the normal atmospheric pressure inside an object is lessened significantly and that object has insufficient strength to resist, the greater pressure that surrounds it will cause its increasing and eventual collapse. That has been helpful in my spiritual life; let me tell you how. Jesus told of an evil spirit who was removed but returned to find its former place, “empty, swept, and put in order.” Read Matthew 12:43-45 NKJV. It was a place clean but not occupied. That description might at first seem good, but is not good enough. The keyword is “empty.” A spiritual vulnerability existed; the vacancy left a spiritual vacuum waiting to be filled by something or someone. The unclean spirit finds “seven other spirits more wicked than himself and they enter and dwell there; and the last state of that man is worse than the first.” Tragically and needlessly, spiritual collapse is all too common. In your heart and life, wherever God and good do not fill, lesser things will. I see a practical application in the Bible’s warning, “Do not . . give place to the devil.” Ephesians 4:27 NKJV. The devil’s “wiles and devices” are always pressing for access into one’s life. Read Ephesians 6:10-18/2 Corinthians 2:11 NKJV. But how do you limit the daily intrusions the devil continually seeks in your soul and spirit? Feebly resisting wrong attitudes and actions without initiating and strongly sustaining righteous practices does not work. Your spiritual success will only come from actively giving God “place” in your life everyday. That is how you start everyday, live your day, and end your day; doing so must become your spiritual lifestyle. The more extensive “place” you purposefully allow God in your life – your time, affections, thoughts, desires, and practices – the more the devilish intrusions are restrained until eliminated. Paul applies the principle in practical matters: lying or speaking truth, stealing or working, profane or edifying language, bitterness or kindness, anger or tenderheartedness, malice or forgiveness. Ephesians 4:25-32 NKJV. It is always your choice; a choice you must make. Any spiritual vacuum is a vulnerability you cannot afford. The truth is simple enough. Writing of the Holy Spirit who is within the Christ-follower in contrast to the spirit which embodies the world and its culture, John affirmed, “He who is in you is greater than he who is in the world.” 1 John 4:4 NKJV. Our modern, high-tech, low-touch world offers no suitable substitutes for the daily practice of ancient, spiritual disciplines of Biblical meditation, prayer, fasting, and New Testament fellowship. Fill your heart with the right things; leave no place for wrong. Fear is the absence of courage; take courage. Unbelief is the absence of faith; choose faith. Disobedience is the absence of obedience; obey. Worry is the absence of trust; begin to trust. Sin is the absence of righteousness; live righteously. Discord is the absence of peace; sow peace. Hate or indifference is the absence of love; prefer love. Sadness is the absence of joy; rejoice. For every spiritual vacuum there is a fullness of God’s provision. See Ephesians 3:19 NLT/2 Corinthians 9:8 NKJV. Every emptiness you feel is an absence of God there. Invite and welcome His fullness today. My prayer for you today is that you will experience fullness that fills and overflows. Everyone wants to belong somewhere and to someone. People were not made for isolation; by our Creator, you were designed for community, with God and with others. People love to belong to groups – book clubs, health clubs, fan clubs, business circles, civic groups, service organizations, charities, Bible studies, churches, and nameless others. Who could count the number of affinity groups worldwide of every stripe and kind, small and large circles of people who share a common interest? A person’s interests are encouraged and reinforced by their common experience and shared enjoyment with others. Who would enjoy sitting in an empty stadium to watch their favorite sports team if there were no others to share their enthusiasm? What team would enjoy playing with no one watching? Some experiences just aren’t the same without someone to share them. Good news never seems the same if you have no one with whom to share your joy. Man’s history began with God’s pronouncement, “It is not good that man should be alone. I will make him a helper comparable to him,” and later the Bible adds, “God sets the solitary in families.” Genesis 2:18/Psalm 68:6 NKJV. That longing to be joined meaningfully with others is really the outward expression of a person’s heart to experience personal fellowship with God. The emptiness of soul you try to fill with others’ company is the misdirected reach of your heart for God. The problem? As we were, you and I are incompatible with God. Since God does not change, you must if you are to enjoy a meaningful, personal relationship with a holy God. But how does any of us change our nature? God’s solution? The very things that would separate you from God have been removed by Jesus’ sacrifice on the cross for every wrong and evil thing you’ve ever done. “So now there is no condemnation for those who belong to Christ, (who do not walk according to the flesh but according to the Spirit/NKJV). For the power of the life-giving Spirit has freed you through Christ Jesus from the power of sin that leads to death.” Romans 8:1-2 NLT. For those belonging to Christ, no condemnation! You can be assured of this, “The Lord knows those who are His.” 2 Timothy 2:19 NIV. Condemnation is that miserable feeling inside that everything is not right with God; His forgiveness and your faith is the only remedy. “If we are living in the light of God’s presence, just as Christ is, then we have fellowship with each other, and the blood of Jesus, His Son, cleanses us from every sin . . if we confess our sins to him, He is faithful and just to forgive us and cleanse us from every wrong.” 1 John 1:7/9 NLT. Upon the truths of forgiveness and grace, your comfort and confidence as a child of God rests. With this powerful announcement, the Apostle Paul sums up the guaranteed result of a life that truly belongs to Christ, “I am persuaded that neither death nor life . . nor things present nor things to come . . nor any other created thing, nothing in all creation will ever be able to separate us from the love of God that is revealed in Christ Jesus our Lord.” Romans 8:38-39 NKJV/NLT. Here’s the key to your release into that glorious truth. The certainty of God’s love now and forever rests in the heart that holds the firm conviction of the sufficiency of God’s grace. No condemnation; no separation! My prayer for you today is that you live in God’s love, ever secure in His grace.